You've practiced the piece, ran through your scales, strategized the sight-reading, and picked out your favorite reeds. 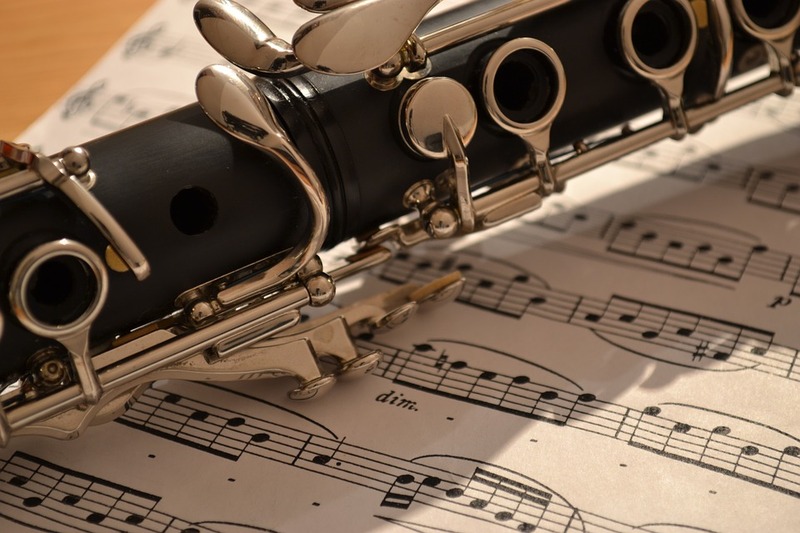 Here are some last minute pointers for your District or All-State Band audition. (While this blog post is geared towards Virginia's audition requirements, you can easily adapt it to your own state and audition situation). Do not over practice before your audition and tire yourself out physically and mentally. You can warm up with some calming long-tones, playing the more challenging scales in half notes, or slowly reviewing hard licks in the piece. Run through your audition in your mind, envisioning yourself walking through the door, sitting down, and effortlessly playing through your scales, music, and sight-reading. Eat a full, healthy dinner the night before and get a good night's sleep. Bring some healthy snacks like bananas (a natural beta-blocker) to eat if you get hungry while waiting. Limit your caffeine intake until after the audition. Avoid sugary foods, which can increase anxiety. If listening to the other musicians in the warm-up room unnerves you, bring a pair of headphones to listen to your favorite calming music or use them for noise cancellation. Some people find that wearing headphones has an added bonus of deterring well-meaning fellow auditionees from wanting to talk to you, which some people find distracting or energy-sapping. Wear comfortable clothes, but still dress nicely. Wear something that makes you feel confident and powerful. Before leaving home, make sure that your instrument is in working order, that you have at least three good reeds, and that you have your music, neck-strap (if you use one), mouthpiece, ligature and swab. Swab out your clarinet while waiting in the warm-up room and in the hallway before you play to avoid getting any water in the tone holes. The judges are listening for a smooth, rhythmic scale without any grunts or squeaks and clean articulations on the way down. Play it as fast as you comfortably can to demonstrate this. Before starting, envision yourself playing the scale going down and pick your tempo from here. It is far too easy to play too quickly ascending the scale since it is slurred, only to be trapped in a too fast tempo on the articulated portion of the scale going down. Once again, the judges are listening for smooth, clean, rhythmic scales without any grunts or squeaks. This is a chance for you to show your beautiful, resonant sound. Unlike the chromatic scale, the judges want you to strictly adhere to the metronome marking of a quarter note equals 100, so don't go slower or faster, and stay steady. For those of you performing a piece, here's your moment to really shine! As they are with everything above, the judges are listening for pulse, rhythmic integrity, intonation, dynamics, and flow, but now you can really be musical. They want to hear a performance, so don't worry about a perfect rendition. Play from your heart and try to enjoy yourself. As Ricardo Morales used to say, here is your chance to play a solo recital. Relax! Keep your eyes open and moving forward. Check the key signature and find the first of each accidental in every octave. Pay special attention to accidentals in areas with ledger lines. Check the key signature every time you start a new line. Look for scale patterns and difficult rhythms to work out before you play. Hold long notes and rests their full values. Play the dynamics. Do your best, don't worry about mistakes and do NOT stop. If you get tangled up, just drop that section or measure and move ahead. The judges are really listening to hear how well you handle stress in addition to how many notes you pick up. Remember that there's a fine line between being nervous and being excited. You have worked very hard for this audition and are going to be great. Remember to use slow breathing to calm down. Take a deep breath in through your nose and out through your mouth. Plant your feet firmly on the ground and take your time in between the different segments of your audition. Imagine yourself in your bedroom, a practice room, or a place that holds calm, happy memories for you if that helps. If you start to fixate on the "what if-s" and "oh no-s", return to thinking about your musical goals counting through your breathing. Good luck and be fantastic! Be sure to reward yourself afterwards. You've earned it! Is there anything I've missed? If you have any audition advice to add, please comment below. Thank you!